BATON ROUGE – Last week's federal appeals court decision in favor of oil and gas producers accused of causing erosion along the coast is a strong message for Gov. John Bel Edwards and the Southeast Louisiana Flood Protection Authority board, a tort reform advocate said. "The federal appeals court decision leaves little doubt this lawsuit is nothing more than a very expensive and ill-conceived fishing expedition," Louisiana Lawsuit Abuse Watch Executive Director Melissa Landry said during a Louisiana Record email interview. "It is long past time for the levee board and Gov. Edwards, who is spearheading similar litigation with many of the same lawyers, to abandon ship. This deeply misguided treasure hunt is never going to pay off. These lawsuits are not a funding mechanism for state or local government budgets, and they are not going to help rebuild our coast." In a decision handed down March 3, the U.S. 5th Circuit Court of Appeals affirmed a lower court's dismissal of the initial coastal lawsuit filed in Louisiana in 2013 by the Board of Commissioners of the Southeast Louisiana Flood Protection Authority. Other plaintiffs in the case were the Orleans Levee District, Lake Borgne Basin Levee District and East Jefferson Levee District. Plaintiffs in the case are not the only ones who should be hearing the court's message, Landry said. 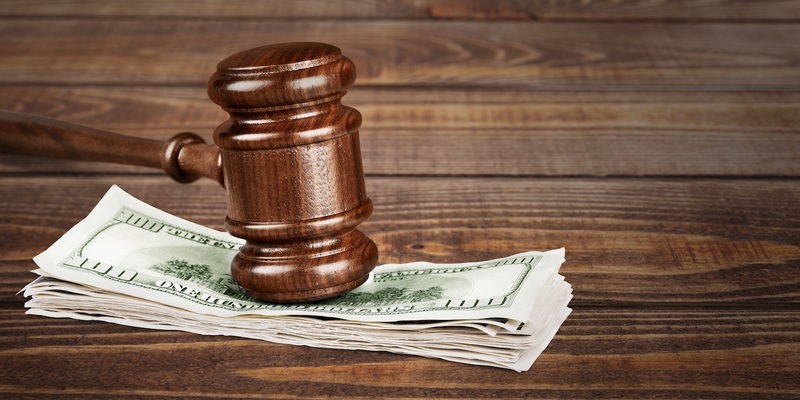 "The demise of the levee board lawsuit also serves as a reminder for elected officials and policymakers everywhere that the use of contingency fee contracts to hire private lawyers in government litigation does not always serve the public’s best interest," she said. The decision is a major victory for oil and gas producers who were defendants in the case who were accused of causing erosion, threatening hurricane levees and other damage along Louisiana's coastal wetlands. The appeals court ruling affirmed that the district court had been correct that neither federal law nor Louisiana law creates a duty that binds the oil and gas producers to provide protections from increased flood costs that arise out of coastal erosion. "Under Louisiana law, a claim for strict liability requires that a duty of care was breached, just as a negligence claim does," the decision said. "There is essentially no difference between the two types of claim under Louisiana law, and to the extent any difference existed during the time period relevant to this lawsuit, that difference was only that recovery on a theory of strict liability before 1996 did not require that the defendant had knowledge of its breach of duty. Because the board has not stated a claim that Defendants owed it a duty of care, its strict liability claim fails along with its negligence claim." Last fall, Edwards backed away from an effort by his office to insert campaign donors as attorneys into 39 existing coastal damage lawsuits and to pressure coastal parishes to file additional lawsuits against oil and gas producers. Edwards at the time claimed oil and gas industry representatives are not interested in negotiating, according to the same reports. Edwards, whose office has not responded to Louisiana Record requests for comment, endured sharp criticism for that attempt and helped the state place seventh in American Tort Reform Association's 2016-17 Judicial Hellholes list. The only winners in the coastal erosion lawsuits have been the trial lawyers, Landry said. "Due to an egregious contingency fee contract that could leave taxpayers on the hook for millions of dollars in legal fees, the trial lawyers driving the levee board lawsuit have been allowed to continue their misguided pursuit for years despite opposition from the legislature, the federal district court and many members of the board itself," she said. "The shocking arrangement, which gave broad legal powers to a small group of private attorneys, was never publicly debated and it should have never been approved."